When ‘Basalt Global’ sponsored Mighty Chobham entertained the ‘Mighty Oaks’ from Sevenoaks one of the ‘Mighty’ tags were bound to fall. 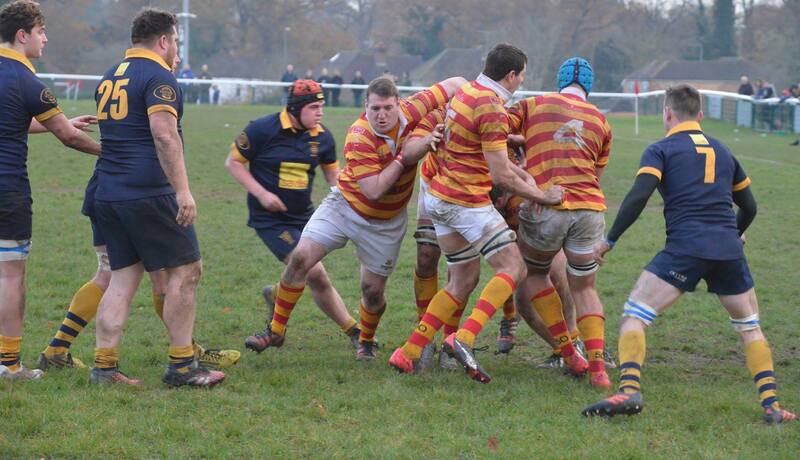 Arise Mighty Chobham as they out played and out smarted the side from Kent. On a day when the Ladies had their annual fundraising lunch, and in this the 50th Year of the club which was founded by a lady the boys played their part in entertaining the large and vocal home crowd. The fundraising for this year’s chosen charity went well and The Clic Sargent Charity for Children and Young people with Cancer will benefit from the hard work put in by the Ladies. The game began in Sunshine if a little chilly and it was The Mighty Chobham who began to show glimpses of their old form and but it was Sevenoaks who opened the scoring after only 3 minutes as Chobham infringed at a visitor’s attack. The Kent side also had to make an early change when their outside centre suffered a concussion and during the reorganisation Chobham took advantage and they opened their account on 5 Minutes when Chris Browne was the final man in a move that carved through the Sevenoaks defence, Alec Thomson just missing with his conversion, 5-3. On 9 minutes Chobham extended their lead through a Thomson penalty following a period of Sustained Chobham pressure, 8-3. One of the loudest cheers came on 17 minutes Liam Monaghan back on the Right wing following the return of Josh Devitt as he scored his first try of what had been a barre season for him, 13-3. Both sides were now well up for the battle, Sevenoaks Young side full of youthful energy trying to disrupt the Chobham back line, Chobham smarting from being called pedestrian by las weeks opponents Maidstone desperate to get rid of that misconception. Chobham were value for their lead but Sevenoaks defenced well and in the end, all that Chobham had to show for their endeavours were two long range penalties by Jayde Cruikshank which gave Chobham the lead 19-3. The game was hard fought but never more than that until and on the stroke of Half time and over 7 minutes of time added on, Cruikshank was taken out dangerously by the Oaks No 8 who grabbed him around the neck, a scuffle ensured and attempted to pull the Oaks player away to stop him landing more punches on Cruikshank, Devitt came in off his wing. After a some ‘handbags at dawn’ the referee pulled out a red card for Devitt. Down to 14 men Chobham needed to be up for the 2nd period. As if the 14 men were hard enough to play with, Chobham lost Browne after only 5 minutes of the half, the card issues from a Chobham attack in the Oaks 22. Now down to 13 Chobham dug deep but succumbed to a Sevenoaks try on 54 minutes out in the right-hand side, the conversion was missed. 19-8. 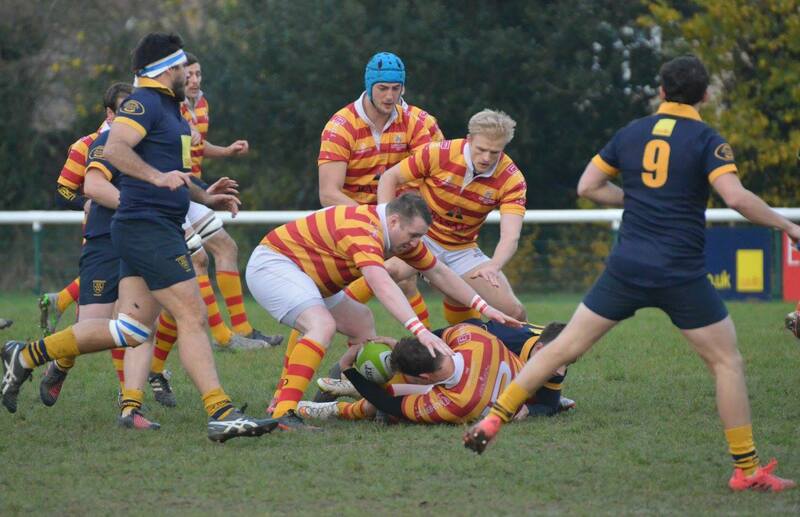 Browne returned following the Sevenoaks try and within a minute he had made up for his earlier blemish as he was on the end of a bullet pass from the inspiring Owen Glover who improves week on week with his playmaking at 10. Thomson slotted the conversion and Chobham were placing one hand on the Mighty tag as they now led, 26-8. 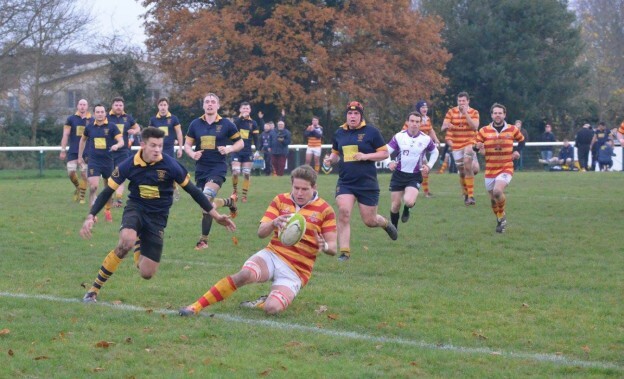 Chobham were on song and looking for the try bonus but first they had to defend and stop the resilient Sevenoaks who never gave up and only some masterly defending by Monaghan and Rory Carris prevented the oppo from scoring. 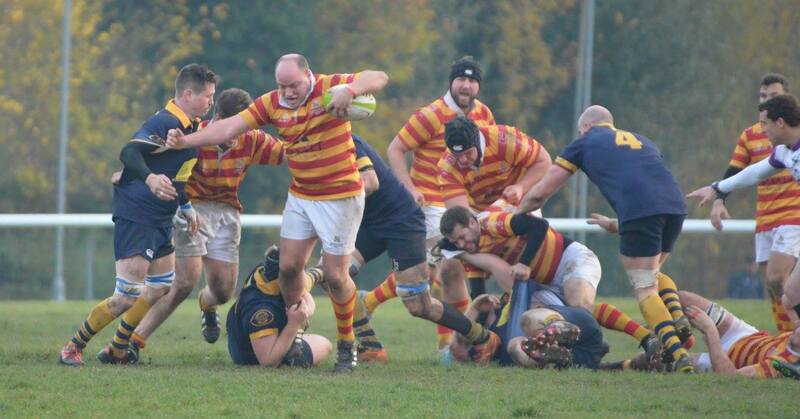 The final word went to a youthful member of the Chobham side, Carris as he scored Chobham’s fourth try and his first for the club, Thomson hit the extra’s and it was arise Mighty Chobham as they ran out victors 33 points to 8.